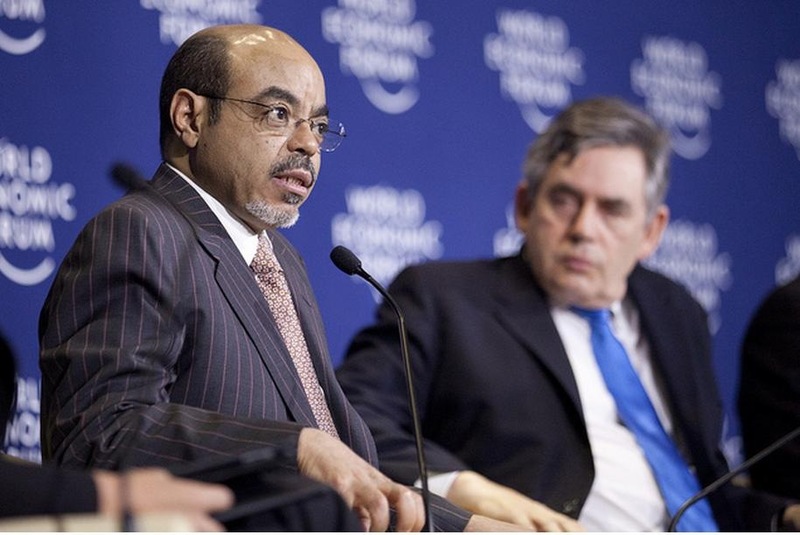 Ethiopia’s Meles Zenawi (pictured), who was pronounced dead in a Belgium hospital this week, joins a long list of African leaders who have died in foreign hospitals. That list includes John Atta Mills of Ghana, Bingu wa Mutharika of Malawi, Felix Houphouet Boigny of Ivory Coast, among others. What is it with African leaders and dying in foreign hospitals? We can make some educated guesses about this matter and argue, for instance, that some countries do not have the same quality and level of medical care that is available in these foreign countries. Yet that preposition then begs a follow-up question: Why is it that African leaders do not see the value of investing in healthcare in their countries so that they do not have to fly abroad to get their bottoms pricked and their prostates removed. Here the answers become a bit more complex. It is not always a matter of money or not knowing the importance of good health facilities. Boigny, for instance, had worked as a doctor before rising to power. He also spent $300 million on building the Basilica of Our Lady of Peace in his hometown, Yamoussoukro, where he had moved the national capital. Anyone will tell you that for half that money, you can get some of the best medical facilities around the world. The answers probably lie farther afield, in the realms of prestige, patronage and paranoia. Many African countries remained trapped in the headlock of colonial entrapment, where foreign is good and local is crude. Going abroad, be it for holiday or for treatment, is a class status symbol from which leaders are not immune. African presidents who have never visited their local game parks or zoo therefore find pleasure in frolicking around in the Mediterranean or send their kids off to Disney Land Florida, popping into the local hospitals for a nip and tuck, a shot of botox to hold the First Face in place, or simply to have their cancers treated. This vanity is often hidden behind the thin surgical mask of paranoia. Official versions given for seeking treatment abroad usually follow the narrative of hostile governments or unpatriotic opposition-leaning doctors potentially lacing the syringe with poison or prescribing the wrong drugs. In reality, local doctors cannot be trusted to look at presidential bums, lest they sneak the odd photo and post it to twitter. Neither can they be trusted to deliver the new generation, lest they do funny things and add to already high statistics of infant or maternal mortality. So Presidential bums and buns are carted off abroad, to the relative anonymity of faceless doctors in surgical masks who often can’t tell one dictator from another, and who are unlikely to have a long-standing grudge on behalf of a relative. Yet leaders can continue to peddle their prostates to Poland or the Philippines and invest in good health facilities at home for their citizens. This is when the last factor comes in; patronage. Many opponents of the regime are able to get by with some level of difficulty if they have a roof over their heads, some steady income, and small families. However, in the absence of health insurance and proper healthcare, access to life-saving medical care becomes the ultimate offer of patronage. A life-long regime opponent, who is ailing in a local hospital and who needs $100,000 for surgery in India, is urged by relatives to swallow their pride and “ask the man to help”. After all, this is a matter of life and death. Few men (or women) can stare death in the face and remain true to their political convictions. Many cave in and appeal to the regime to save their lives. Regardless of how long they then live, a senior regime official is often at hand during the funeral to remind mourners of how, despite their differences, the government came to the rescue of the deceased and paid their medical bills. The failure to invest in proper medical facilities at home is therefore the ultimate tool of political control and patronage in many African countries. Opponents can turn down job offers or scholarships for their children. They can deal with their businesses going belly-up and their houses being repossessed, but the thin line between life and death is a hard one to remain proud and defiant about. The irony of it all, however, is that regardless of where the foreign leaders die, they return to be buried in the same earth that swallows us all. Who said death is not democratic?